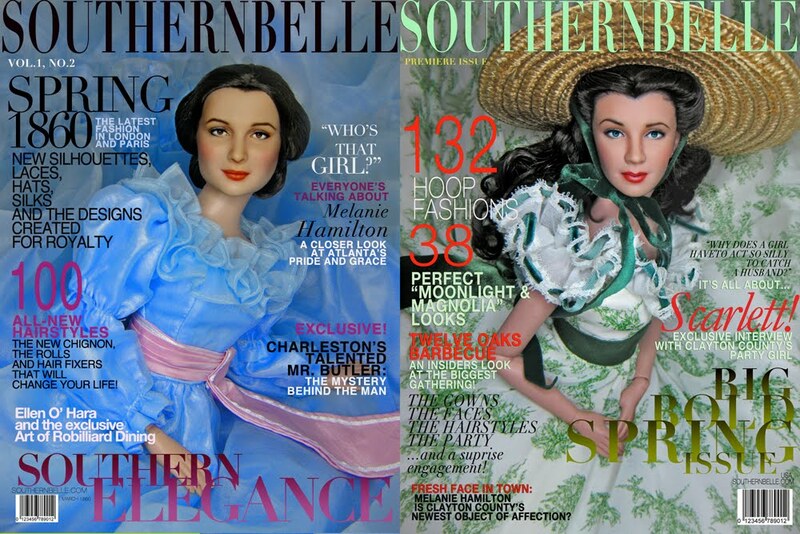 Two icons of Southern women. 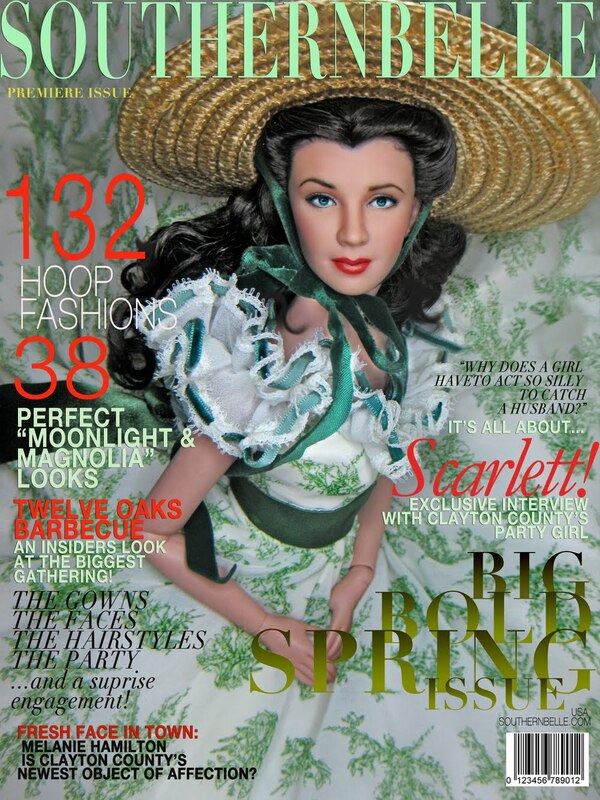 fashion magazine's perspective. I had fun doing these and hope you enjoy viewing them too. The biggest party that Spring. The newest face in town, Melanie. The indulgence with fashion, looks, catching a beau. 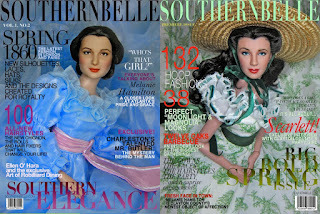 In the center of it all, Scarlett O' Hara, prized daughter of Gerald and Ellen O' Hara of Tara. Several years in the magazine world should at least rub off on a hobby such as this. 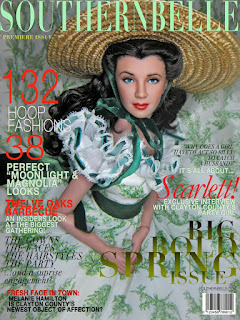 This is Tonner's Drapery Scarlett (doll) wearing "What's my lamb gonna wear?" I like the loose curls and the black hair that frames the face better than a brown-haired Scarlett. Who's next on the cover? Why not? 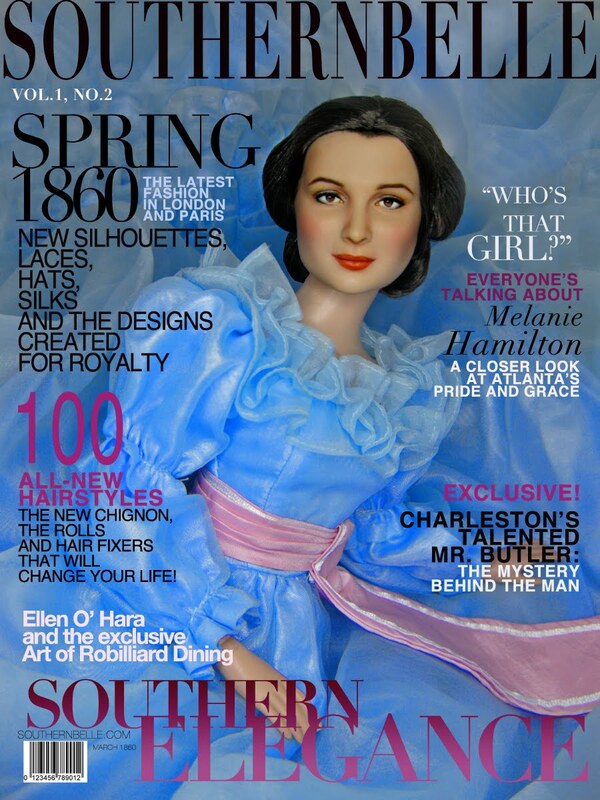 The county's newest darling, Melanie Hamilton.